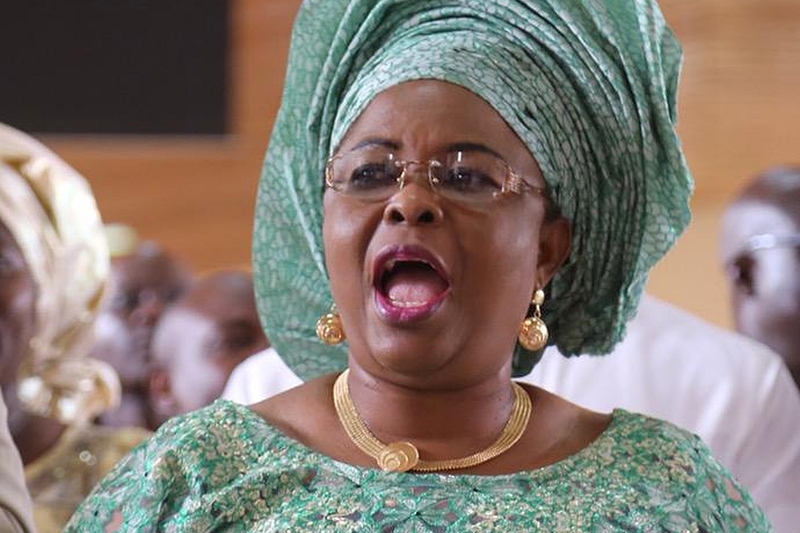 Corruption: Court orders freezing of Patience Jonathan’s multiple accounts. According to Vanguard, the order comes sequel to a further affidavit in support of Ex-parte originating summons sworn to by Abdulahi Tukur, an operative of the Economic and Financial Crimes Commission (EFCC), and filed before the court by EFCC prosecutor, Rotimi Oyedepo requesting the court to urgently direct the managers of the bank accounts contained in the schedule filed with the summons (FHC/L/CS/1343/16) to, in the interim, forfeit the money in the accounts, to prevent further tampering with such. Also affected by the order are five companies which are Finchley Top Homes Limited, Aribawa Aruera, Magel Resort Limited, AM -PM Global Network Limited Pansy Oil and Gas Limited. Finchley Top Homes Limited is alleged to have fraudulently open account number 1102001996 domiciled with Ecobank Plc and has a current balance of N226,376,700.23 and a fixed deposit with a balance of N1,099,511,484.88. Aribawa Aruera Reachout Foundation opened account number 1222014221 with Ecobank and has a closing balance of N479,893,431.01, while Magel Resort Limited accounts (4011019546/5250059782) with Fidelity Bank has a subsisting balance of N1,000,494,000. The company also operates two other accounts (1011744356) in Zenith Bank, which has a balance of N858,923,982, and 0024351590 with Diamond Bank and has a balance of N174,166,207.00. AM-PM Global Network Limited opened account number 0026718889 at Diamond Bank and has a balance of N7,213,303.50. The account opened by Pansy Oil and Gas Limited at Fidelity Bank (4011019577) has a current balance of N1,809,666,494.68, while that at Diamond Bank (0026838491) has a balance of N55,930,024.50. Also affected is one Esther Oba. Esther Oba has a balance of $429,381.87 in her account while the companies collectively havea balances totaling N7,418,829,290.94 (seven billion four hundred and eighteen million eight hundred and twenty nine thousand two hundred and ninety naira ninety four kobo) in six commercial banks. Esther Oba was found to have opened account number 0019213689 with Diamond Bank and has a current balance of $429,381.87. EFCC said it carried out analyses after receiving an intelligence report, which showed that the accounts ought to be investigated. As such, Mr. Tukur averred that it would serve the course of justice to grant the application for such."